The picturesque and ancient market town of Dunster dominated by its castle lies about 5 minutes drive southeast of Minehead. Mainly given over to tourism the town and its medieval buildings are worth a visit but the shops are very much geared towards visitors. The Castle, the town itself and the surrounding area were the domain of the Luttrell family for many centuries before the National Trust took over. The Castle is a great visitor attraction. Dunster is well provided with pubs and restaurants which become very busy in the main tourism seasons. 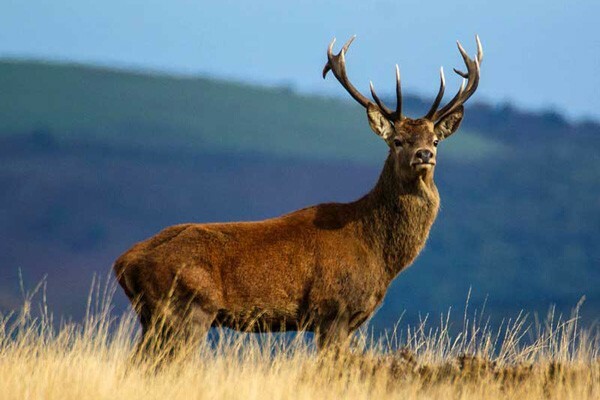 Dunster is one of the few places on Exmoor which become crowded at these times. Parking can be difficult. 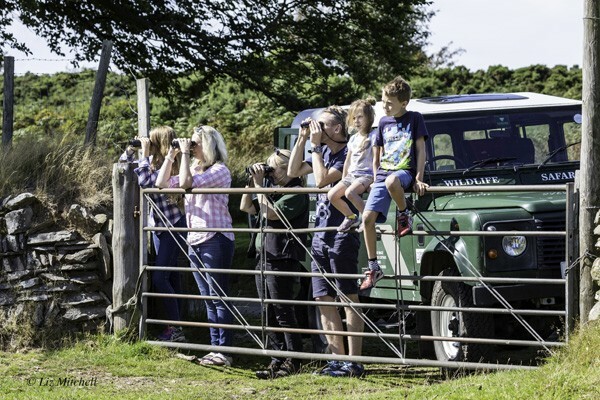 The Exmoor Wildlife Safaris booking agency is at Jacobs in the High Street. 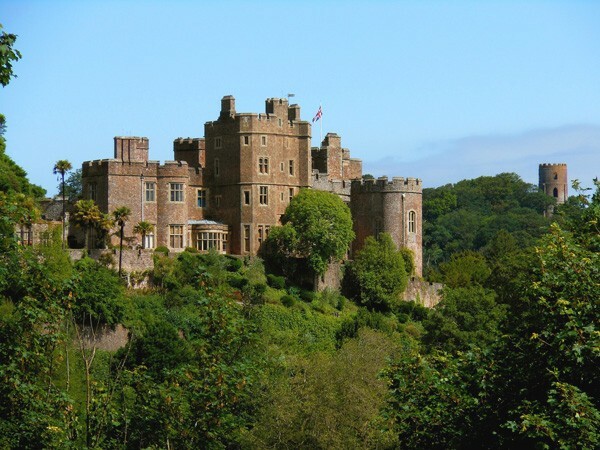 The resort town on the coast at the north edge of the Exmoor National Park is a few minutes drive beyond Dunster.. 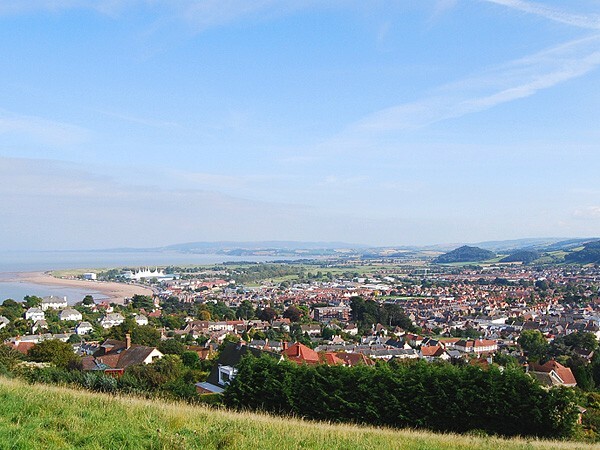 Historically Minehead was an important port and later a Victorian resort centred around the old town and harbour. Today the Butlins resort at Minehead attracts up to 5,000 holidaymakers at a time to the facility situated to the east of the old town. Do not be discouraged. Minehead town is a nice place to shop with a good range of stores including Tesco, Morrisons, Boots, Smiths, etc. The visitors and trippers tend to stay in the resort or on the beach front away from the town centre. The West Somerset Railway runs from the station on the sea front. If you like soot up your nose, grease under your fingernails and grime on your clothes (i.e. If you are a steam railway enthusiast) this is the place for you. Garage/Fuel – Quite a few repair places. Fuel at Tesco & Morrisons 24 hours 7 days a week. Cheapest in area. Another garage near the town centre is not 24 hours. 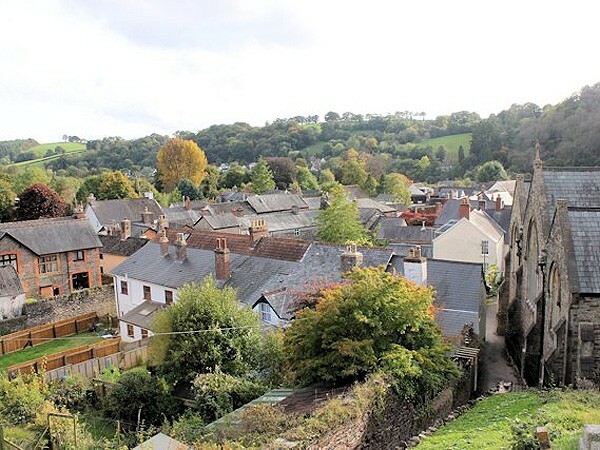 Dulverton is another ancient market town, situated on the southern edge of the National Park. This is our favourite town. It is picturesque but fully functional with a broad range of shops including a supermarket, butcher, newsagent, chemist and ironmonger. The ironmonger is for afficianados and stocks everything from oil lamp wick to that unusual size of screw you have looked for everywhere. The Tantivy newsagent, tobacconist and confectioner also carries an extraordinary range of products including the particular size of battery for grandads’ hearing aid. Good places to eat are Woods and the Lion Hotel in Bank Square and the Tongdam (Thai) in the Old High Street. The Bridge Inn at the lower end of the town has become very popular for reliable pub fare. Tarr Farm Restaurant (at Tarr Steps) is about 10 minutes drive from the town. Garage/Fuel – Repair facilities. Fuel weekdays and Saturday working hours only. Expensive. Brompton Regis, formerly known as Kingsbrompton, owing to its royal connections with King Harold. It has a pub called The George which is a friendly port of call. Luxborough is a quaint village, and the home of one of the three Royal Oak pubs on Exmoor. The Royal Oak Inn at Luxborough and is highly recommended by all who visit. Wheddon Cross’s pub, the Rest and Be Thankful, used to be a staging post over 200 years ago. It has an excellent reputation, and is well renowned for their carveries. Local amenities include a well stocked Post Office/General Store/Garage. Garage/Fuel – Fuel 7 days a week working hours. Reasonable price for the area. 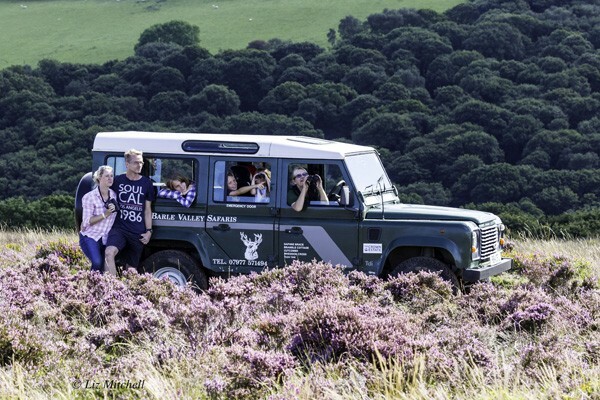 A village renowned as the hunting capital of Exmoor. Lots of places to eat including the Exmoor White Horse Inn, The Crown Hotel and the Exford Bridge Tea Rooms. There is a General Store and a Post Office/Store.